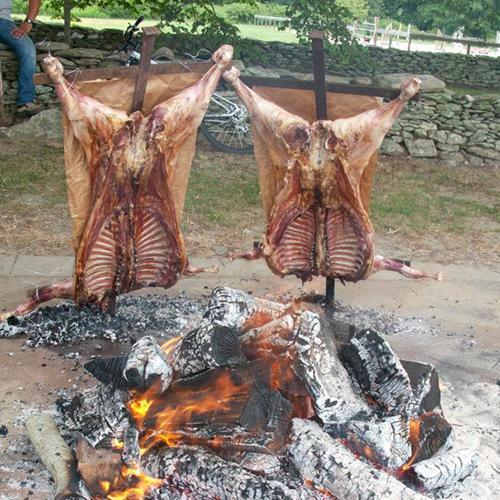 Join the teams following USA vs. Ireland for an Argentine Asado, served-field side. Slow roasted over an open fire in the Argentine tradition, enjoy fork-tender lamb served buffet-style with chimichurri sauce and authentic Latin American sides. The asado has become a part of international polo culture, and a highly anticipated tradition at Newport Polo. Tickets* $37/members, $42/non-members available on online until 7/18 or it sells out, whichever happens first. There may be some tickets remaining availableat the field side Pro Shop during the match! Cash Bar. Polo match tickets sold separately. The meal will be served buffet-style at the polo tent, in the Pavilion, immediately following the trophy presentation. For more info email agnes@nptpolo.com. *Must present ticket at the time of service; Tickets are for individual dinner portions. This is NOT an unlimited buffet.